Jill Parker is a pioneer of the modern Tribal Fusion belly dance phenomenon, birthed out of San Francisco California in the mid 1990's. 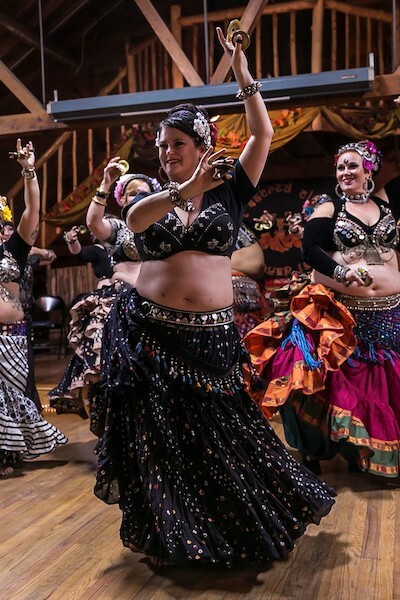 Jill was an original member of Fat Chance Belly Dance, and founder of Ultra Gypsy Dance Theater, the trail blazing company that birthed such great dancers as the famed Rachel Brice, Sharon Kihara, Lady Fred, Rose Harden and countless others. 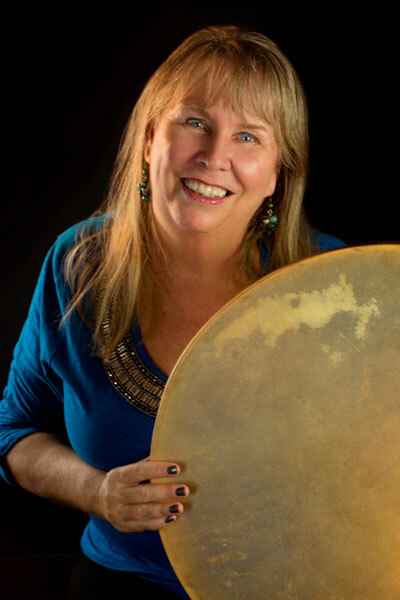 With nearly three decades of experience, Jill has traveled the globe teaching and performing with great accolades. She has trained the top belly dancers in the genre and influenced a generation of belly dancers with her modern innovations, all the while remaining deeply rooted in her connection to the traditional, sensual and authentic. Jill's big heart and deep love for this intoxicating form shine through in her generous teaching as well as her knock out performances worldwide. She's an exceptional teacher with a gift for demystifying this intricate dance, making it accessible for new dancers, and offering insights for refinements and nuance to even the most seasoned professional dancer. Jill manages to foster an inclusive sense of community and wellness in her classes. Jill uses creative self expression to promote health, encourage self-care and build self-esteem, a rare gift that must be experienced. 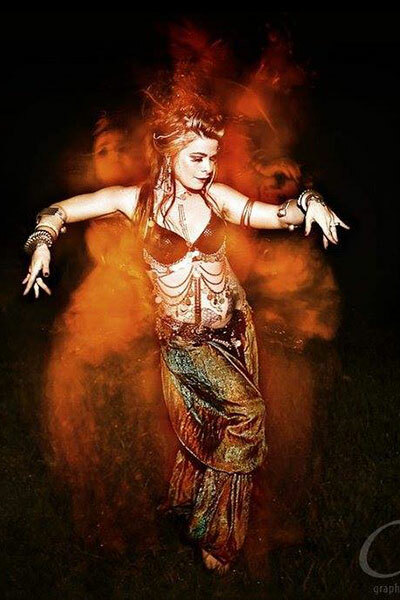 Come enjoy belly dance from the heart with Jill Parker. 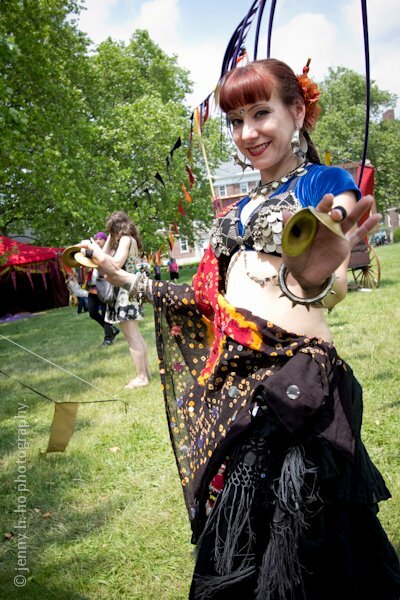 Belladonna is a modern fusion belly dance instructor, performers and show producer from Washington DC. She is also a certified yoga instructor, fire dancers, troupe director and artist. Inspired by the power and healing dance can evoke she belies that self expression is essential for ones well being, and hopes her performances inspire others to find a passion they want to pursue. She is best known as a pioneer of modern sword dancing, and for her theatrical performances, creative concepts and her ability to break down and teach complex subject matter. Dalia Carella is a renowned Near/Middle Eastern and world fusion solo artist, choreographer, master teacher, and the Founder/Artistic Director of the Dalia Carella Dance Collective. Ms. Carella has delved deeply in Near Eastern dance and Turkish Roman dance, as well as Flamenco, Indian, Bollywood/Bhangra, Afro-Haitian, Samba, Salsa, Afro-Puertorican (Bomba and Plena), Tango and Western dance such as jazz and ballet. Ms. Carella’s numerous concerts and teaching tours have led her throughout the US, Canada, England, Puerto Rico, Switzerland, Germany, Spain, Portugal, Italy, China, and Japan. In 1978 till present, besides Dalia's unique technique of Oriental Dance (Belly Dance), Dalia also created two art forms on the Middle Eastern Dance circuit called El Mundo (Belly Dance, Latin Caribbean, Flamenco) and Dunyavi Roma (Gypsy Dance). Dalia's much sought after, innovative movements and skirt work have been taught internationally to dance professional and students. Diana is based in New Haven, CT and has a chronic case of American Tribal Style obsession. She loves to share her love of group improv with the larger dance community, and to collaborate with ATS® dancers near and far. Debbie Despina Cartsos was born into two loves: fashion and dance. She donned her first belly dance costume at the age of five and spent hours watching her mother create designs for her own evening wear. Following her fashion love, Debbie first attained a degree in Fashion Design and Patternmaking at the Veloudakis Private Institute of Design in Greece, Merchandising Management and Intimate Apparel Design at the Fashion Institute of Technology (FIT) NYC, where she also received the Jean Yu Critic Award for Intimate Apparel and the Intimate Apparel Council Merit Award. After working eight years in the intimate apparel industry Debbie took the leap and launched D.Webb Designs as a full time design house. She now designs custom stage-wear, dance-wear and non-conforming apparel as the individuals who wear her designs. Mimi Fontana is a driving force in the rapid growth of New York City’s Tribal Belly Dance community. In 2006, she founded Manhattan Tribal, New York City's first ATS® dance company. Studying with Carolena Nericcio, creator of ATS and Director of FatChanceBellyDance® (FCBD®) in San Francisco, Mimi received multiple certifications in the FCBD format, and was granted Sister Studio status in 2008. In addition to regularly teaching multiple ATS® classes in NYC, and the workshops she is invited to conduct nationally and overseas, Mimi is an AFAA certified group fitness instructor specializing in Pilates, Boot Camp and TRX Suspension Training. Johanna defines yoga as the art of cultivating awareness of the present moment, with the intention of creating more space for ease and joy in all aspects of life. Her classes incorporate a mellow flow and meditation appropriate for every body, focusing on the inward journey beginning with curiosity about ones' self. 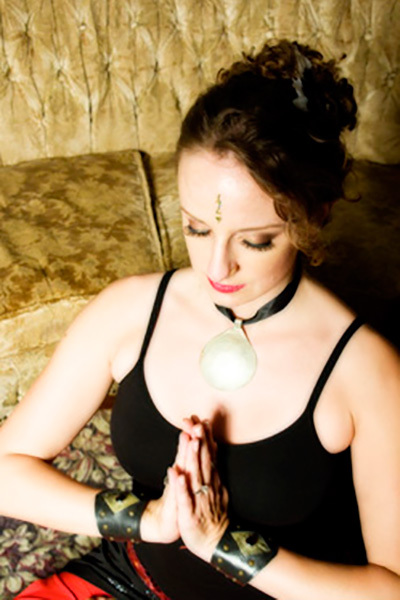 A Licensed Massage Therapist & full-time belly dance instructor and performer since 2000, Johanna is also currently finishing her 500 hour Yoga Alliance Teacher Training. She owns Hip Expressions Belly Dance Studio in Florida. She is happy to work with each individual with any physical struggles that keep one from finding balance. Casey Bond has been “Bringing the doum to the room!” since the very first NEATS Camp! She’s a festival favorite at Super Fun Dance Camp, Rakkasah East, Golden Fest, and the Middle East music track at Spring Thing. She been teaching weekly drum classes for almost a decade, currently at the Momentum School of Music in West Islip, NY. She’s the founder/artistic director for the Raq Steady student ensemble, and her original drum compositions are featured on the CD “Raq Steady: Greatest Hits Volume One.” Casey plays percussion with some of NYC's coolest bands, such as Carmine & Friends, Scott Wilson & Efendi and The Elias Ladino Ensemble. 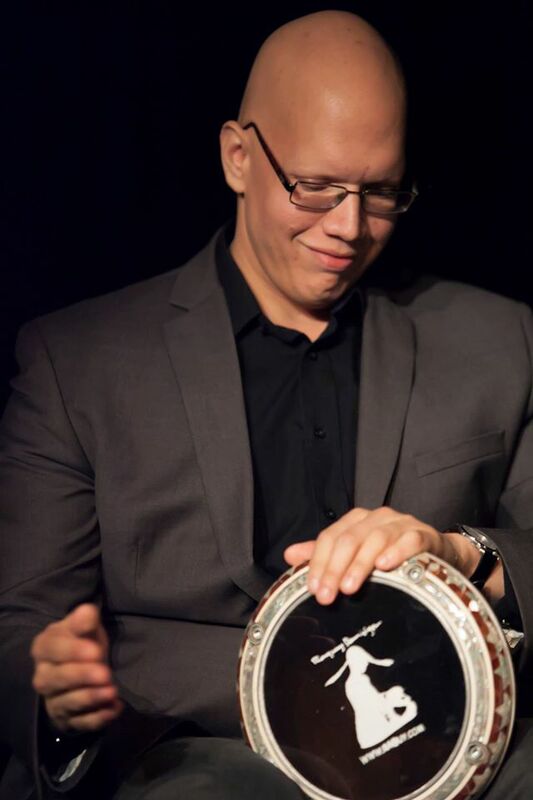 Introduced to the darbuka in 2011, Joaquin Colon has spent the last 5 years studying under legendary darbuka players such as Rami El Aasser, Raquy Danziger,and Bunyamin Olguncan. 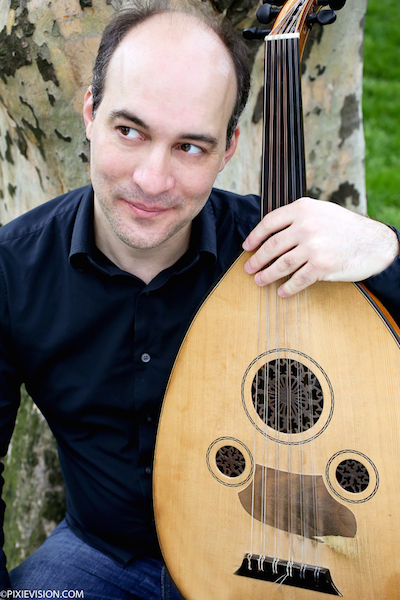 He is currently performing as part of Raquy Danziger's project "Dum", and has played alongside groups such as Djinn and Scott WIlson and Effendi. When he isn't drumming, Joaquin teaches high school math at Williamsburg Charter High School, and runs beginner darbuka workshops. Carmine is an accomplished instructor, teaching doumbek both nationally and internationally. His students compliment his lively and engaging teaching style and his ability to make complex technique and intricate rhythms easy to learn. Located in New York City, Carmine is a member of several music ensembles including Middle Eastern fusion group "Djinn." Carmine's music has been featured on several CDs and DVDs as well as prime time T.V. shows.